We have all heard that sugary drinks are bad for your teeth. For the most part, that statement seems to be true. Artificial sugar is a main ingredient in many beverages that are popular with children in the United States. Many children are guzzling down soda, energy drinks, and artificially-enhanced fruit juices at meal times and even in between. Unfortunately, these sugary drinks contain acids that soften and weaken tooth enamel. Over time, this can lead to tooth decay that causes cavities and more if left untreated. A lot of fruit juice you see on grocery store shelves contains added sugar and other ingredients that make it unhealthy and especially bad for dental health. But recent studies show that 100% fruit juice without any additives or extra sugar does not have the same effect on dental health. Children who drink 100% fruit juice are no more likely to develop cavities than those who do not drink this tasty beverage. That means 100% fruit juice can be a healthy snack that provides children with vitamins and nutrients without harming tooth enamel. New research makes it clear that 100% fruit juice is a healthy choice for all members of the family, including children. But just like with any other food or drink, it is important to enjoy juice in moderation. Dark fruit juices can stain the teeth, especially if sipped slowly or for over a long period of time. 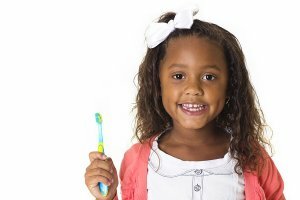 Encourage children to consume plenty of water throughout the day to wash away residue and reduce the risk of staining the teeth. If you do happen to stain your teeth with fruit juice, you can always ask your dentist about teeth whitening in the future! Missing teeth are a major oral health concern. When you lose a tooth, the gum tissue in that area becomes more vulnerable to infection and injury, and the remaining healthy teeth may shift, causing a chain reaction of dental health issues that can include further tooth loss. 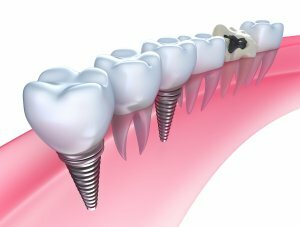 Your dentist can address missing teeth using dentures or same day dental implants , but what can you do to prevent tooth loss in the first place? 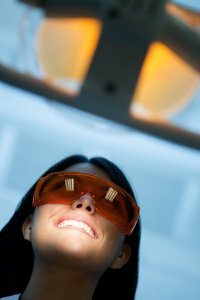 Talk to your dentist in St. Louis about your risk, and consider these common causes of tooth loss. Periodontal disease —or gum disease—is the most common cause of tooth loss. It occurs when bacteria form plaque along the gum line, triggering inflammation and infection. In its early stages, gum disease causes bleeding and tenderness, but when left untreated, it can lead to tooth loss. Even if periodontal disease doesn’t cause your teeth to fall out, your dentist may determine that they have been damaged beyond repair and that they need to be extracted. Periodontal disease is treatable, but it’s far easier to manage in its early stages, so see your dentist right away if you experience symptoms. 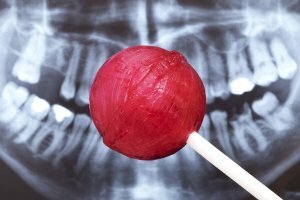 Sometimes, tooth loss occurs very suddenly as the result of an injury. While you can’t completely prevent injury to your teeth, you can lessen your risk by wearing a mouth guard when you play contact sports. After a blow to the mouth, an injury that could lead to tooth loss may not be immediately apparent. Sometimes, a root fracture can occur without any signs or symptoms, and then only become a problem years later when an infection settles in. Let your dentist know if you have recently suffered a mouth injury so he or she can check for hidden damage. Tooth decay can be relatively easy to treat with a filling if you see your dentist as soon as symptoms appear. However, when tooth decay isn’t treated, the associated cavity can become so large that tooth extraction is the only solution. Decay can also cause infections in the jaw that may weaken the bone and result in tooth loss.